Mel Wells is a bestselling author, TEDx speaker, and health and eating psychology coach. She helps women transform their relationship with food and themselves, to become the best version of themselves possible. 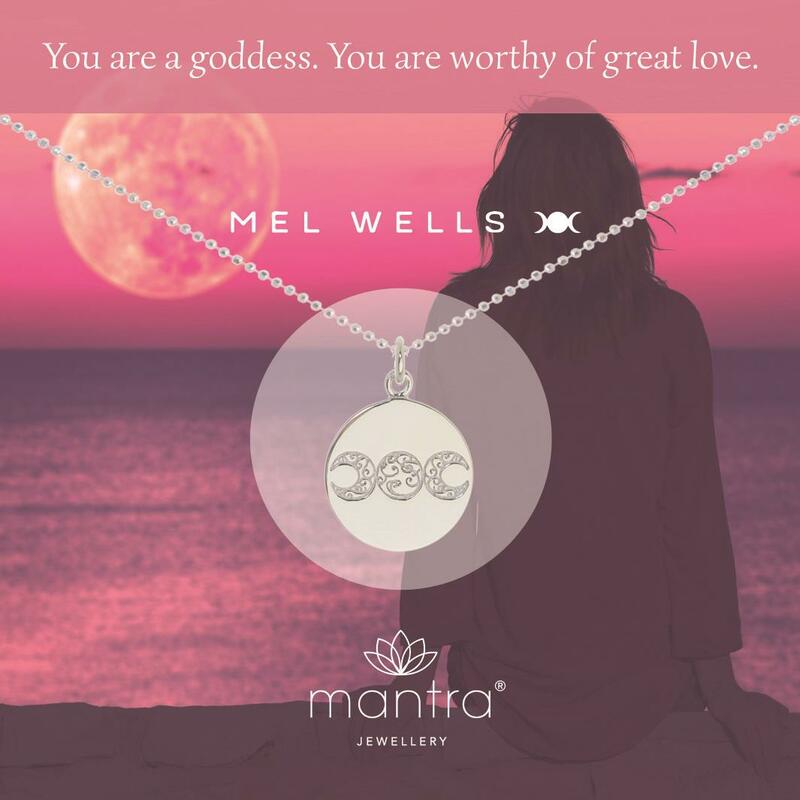 The Mantra necklace Mel has created is the goddess symbol – a triple moon, shown waxing, full and waning – on a Sterling Silver disc, with the empowering mantra, ‘You are a goddess. 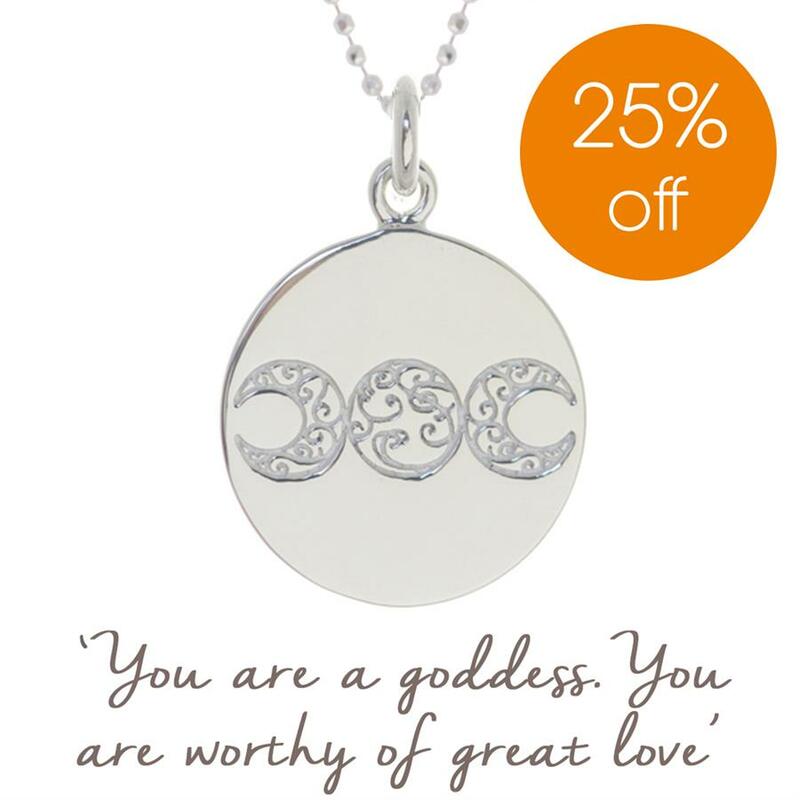 You are worthy of great love’. Mel has this symbol as a tattoo, and it is a very powerful and personal message for her. Her first book, ‘The Goddess Revolution’, really established Mel as a powerful voice for women everywhere. She helps women all over the world readdress their relationship with food, and with themselves. 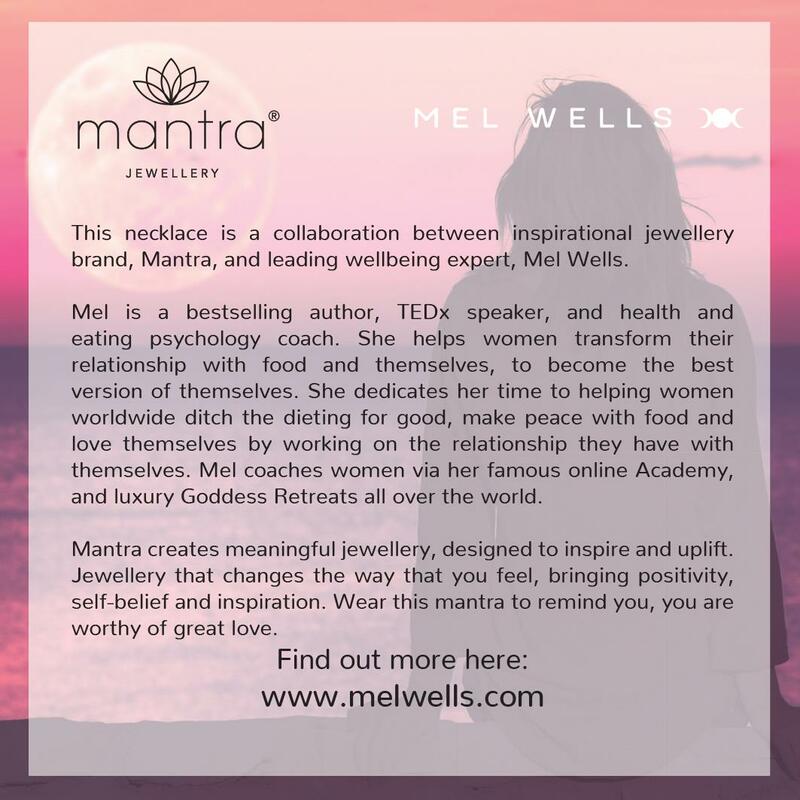 After healing her own battles with eating disorders and using this as a catalyst to completely change the course of her life, Mel’s book helped thousands of women to do the same, and then go on to create truly fulfilling, enriched lives, falling in love with themselves more than they thought possible. 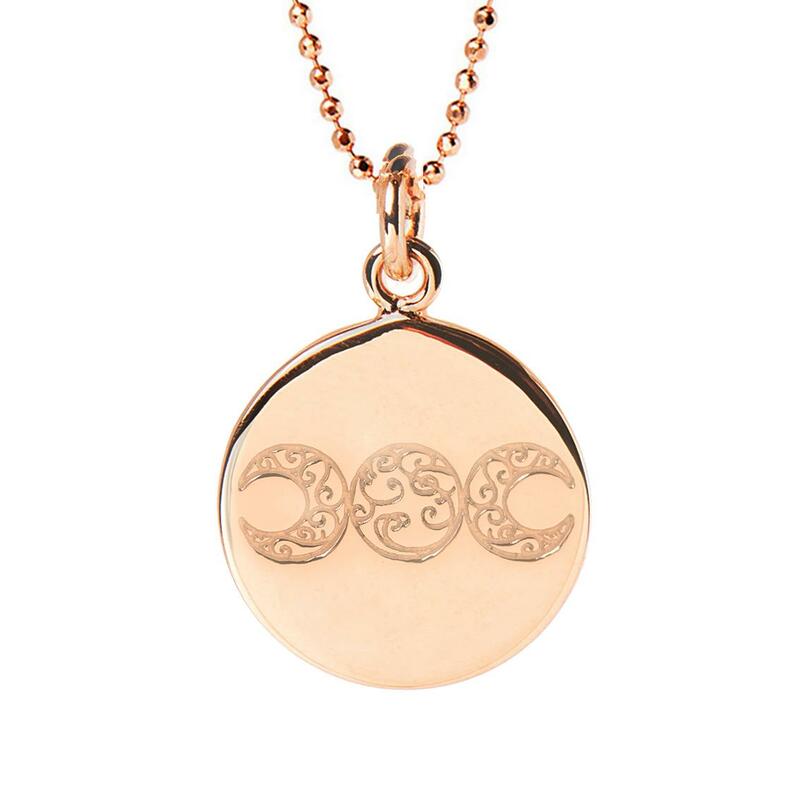 Wearing a piece of Mantra jewellery is intended as a way of reminding ourselves of an important message - some words of wisdom to bring to mind, when busy or stressed. Mel’s mantra works as a prompt to remind us to change our outlook. 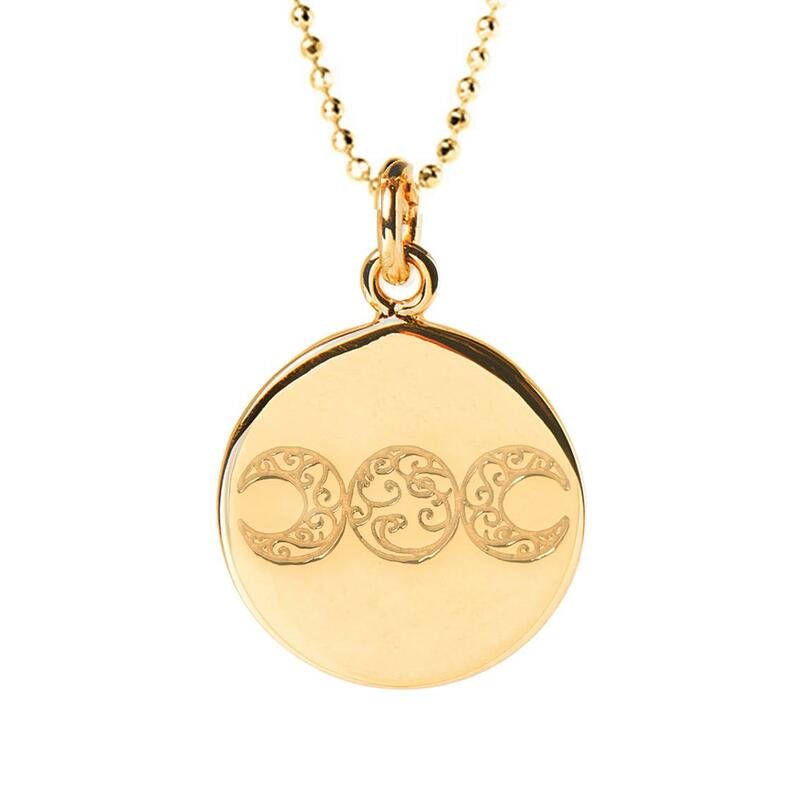 Take hold of your necklace from time to time through the day, and repeat the mantra - to prompt you to treat yourself with the love and respect you deserve. 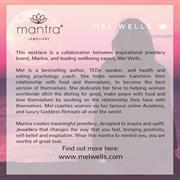 Read more about our collaboration with Mel here. Take a look at our Gallery to see how Mel Wells wears her Mantra necklaces.